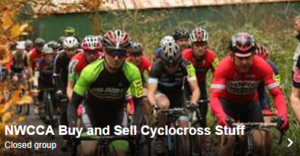 Home › News › Fancy riding ‘cross in Belgium? Fancy riding ‘cross in Belgium? Jack and Colin Humphreys will be travelling to Belgium to take part in the Gavere Superprestige race over the weekend of the 14th and 15th of November. Last year’s race is at the foot of this post to get you in the mood…. The main race is on Sunday with the course open for Saturday practice. It’s quite difficult to organise as although you can enter at any point, race organisers only publish those successful applications 5 days before the event. Could those interested please contact Colin at colinhumphreys@britishcycling.org.uk by Saturday the 24th of October and an approach can be made for all riders direct to the federation so that we can establish if we can enter riders before anything is booked in terms of travel and accommodation. It is at the organisers’ discretion as they have a number of ‘wild card’ entry places for foreign riders without national or UCI ranking points. The plan would be to stay in the Oudenaarde area, that’s the home of the Tour of Flanders centre and museum. Costs will need to be split between all who go and depending on rider numbers, drivers and transport will be needed. The event has Youth, Junior, U23 and senior races. All riders will need permission to ride from British Cycling and Youth and Junior riders will need Rider Cards from the Belgium federation again obtainable through British Cycling. The paperwork can take some weeks to come through so it’s important to gets things organised ASAP. Will keep the NWCCA site updated with progress. See link here to the series website.